Remember the Dead Kennedy’s song Holiday in Cambodia? 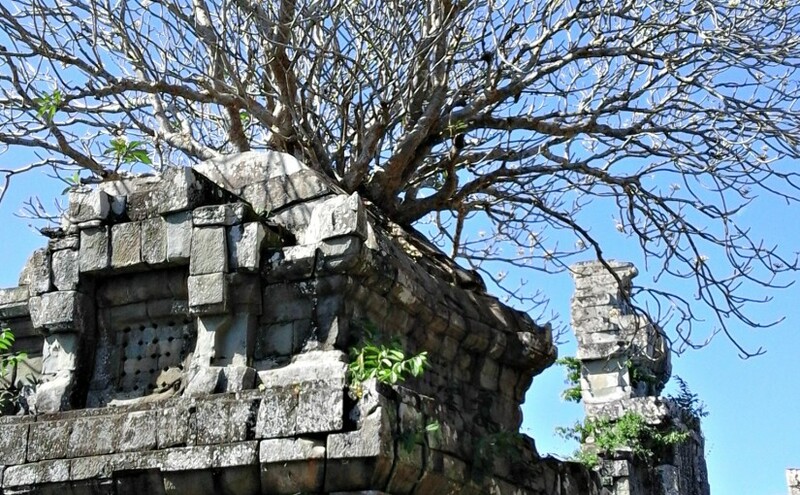 When I was a teenager, the idea of taking holidays in Cambodia was a joke. Back then, under Pol Pot’s regime, the combined effects of executions, strenuous working conditions, malnutrition and poor medical care caused the deaths of approximately 25 percent of the Cambodian population. 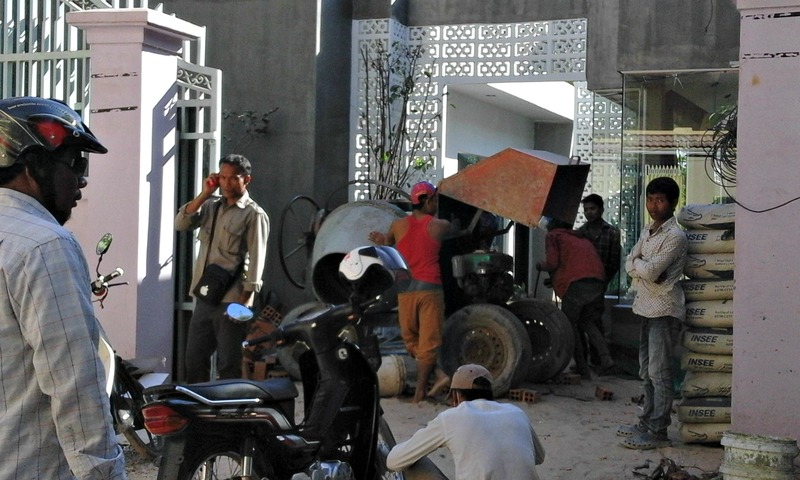 Siem Reap is gritty, it’s dusty, it’s charismatic, it’s cosmopolitan. It’s dirt cheap. It’s hedonistic, spiritual and surprising. True. I even had to wipe the dust off the bank machine screen so I could see how many $US I was withdrawing. Day 1. We arrived at Siem Reap around 8 am after an obscenely early start. Our hotel transfer driver was at the airport holding up a card with my name. Yay, great start to my holiday in Cambodia! The confusion began when our tuk tuk stopped outside a hotel we’d never heard of and the driver proceeded to unload our bags. When we pointed to the name of the Fancy Boutique Hotel on the printed booking voucher, our driver said the Fancy was all booked out so we’d been moved and asked if we’d like to see for ourselves. Hey why not? Sure enough. The Fancy Hotel was under construction. So we stayed at the Dinata Angkor instead. Nothing wrong with the Dinata. Once the dust had settled on our confusion. It was comfortable, clean and the staff were fantastically friendly and helpful. Day 2. 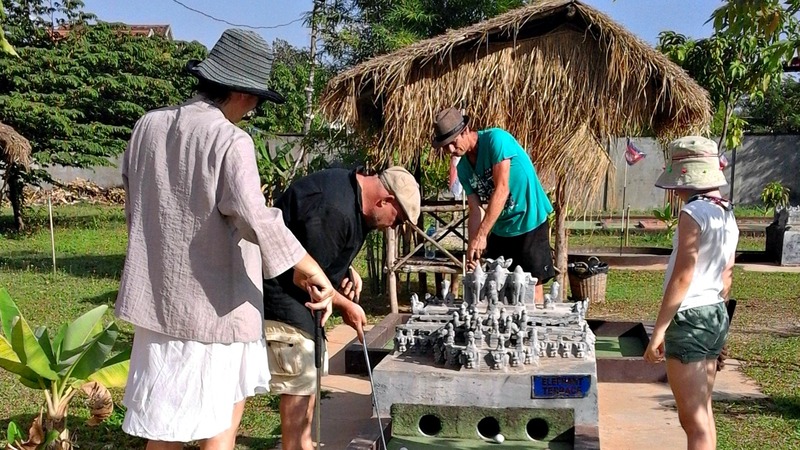 If you’re looking for a kooky spiritual experience check out Angkor Wat Putt, a miniature golf course with nine crumbling, accurate scale miniatures of the famous Angkor Temples. We hired bicycles and rode the dusty hot roads past it in convoy. It was easy enough to miss. How much fun can you have in the heat? Beers are a buck (US$1). There’s even a butler button so you don’t have to interrupt your game if you get thirsty. And a cool soundtrack. Early eighties Rolling Stones, Neil Young, Doors. You get a free beer for a hole in one. What’s not to love? Day 3. Sunrise at Angkor Wat is awesome and sublime. Even if it was another obscenely early morning. 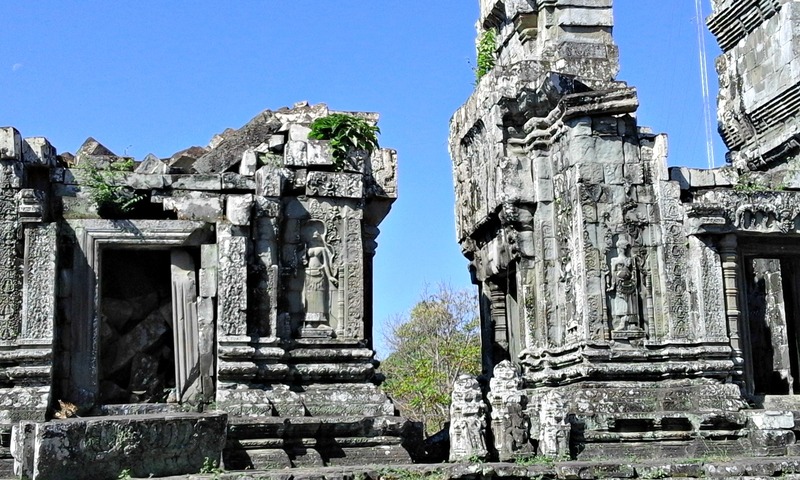 The Angkor Wat Archaeological Park covers 400 square kms. I’m going to dedicate a separate blog to our visit. Suffice to say it was worth climbing the 635 steps to see the spectacular crumbling ruins of Phnon Bok. Without the crowds. Day 4. I’d never been on an electric bike before. So quiet, so cool. Our convoy of E-bikes followed the river, further and further out of town to the burbs where the locals live. Kids were having fun swimming in the river. We slowed down to let a grubby, naked toddler carrying a mobile phone get off the road. Chickens and roosters crossed our path. We finished the day eating tapas at Bugs Cafe… My brother in law and I were violently ill that night. I spent Day 5 recovering and regretting eating that tarantula. Okay. I wasn’t feeling 100%. But I wouldn’t have missed our night at the Cambodian circus for the world. My brother in law wasn’t up to it so we offered his ticket to our tuk tuk driver. You should have seen the surprise and happiness on the tuk tuk driver’s face. He obviously loved the circus as much as we did, jokingly pretending to be my missing brother in law throughout the evening. The circus is run by Phare Ponleu Selpak (PPS). PPS provides arts education for young people from the streets and orphanages who come to learn, express and heal themselves through the arts. 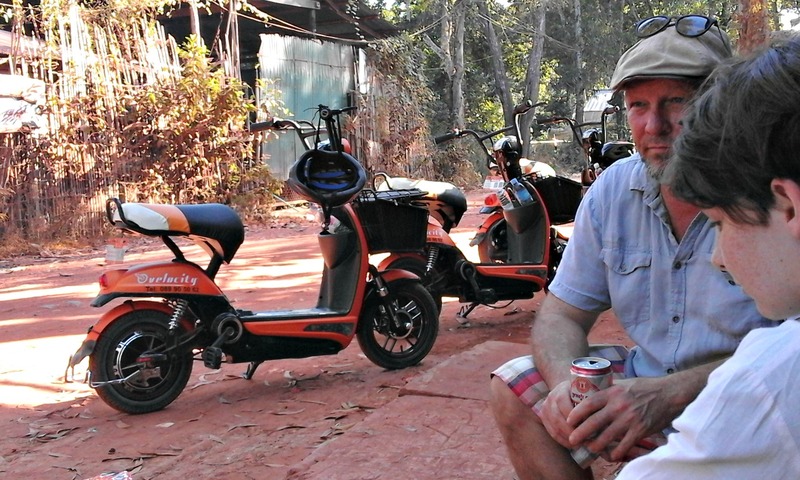 Great article – nice to see another side of Siem Reap. You did a few things we weren’t adventurous enough to attempt. Good on you! O8XDkz This is one awesome article.Really thank you! Great. Thanks so much for your feedback Bailey. I hope you’ll share the love on your favourite social media, maybe even subscribe to get new posts before everyone else?